A new government strategy for WA industry launched on October 1 2018 aiming to provide local businesses with full, fair and reasonable opportunity to access and win State Government supply contracts. In particular, it focuses on small and medium sized enterprises, which make up approximately 97% of businesses in Western Australia. Developed as the action arm of the WA Jobs Act (2017), WAIPS is the Western Australian Industry Participation Strategy. It applies to all WA State agencies and all forms of procurement. The WAIPS applies to all State Departments, Agencies, Statutory Authorities and Government Trading Entities. 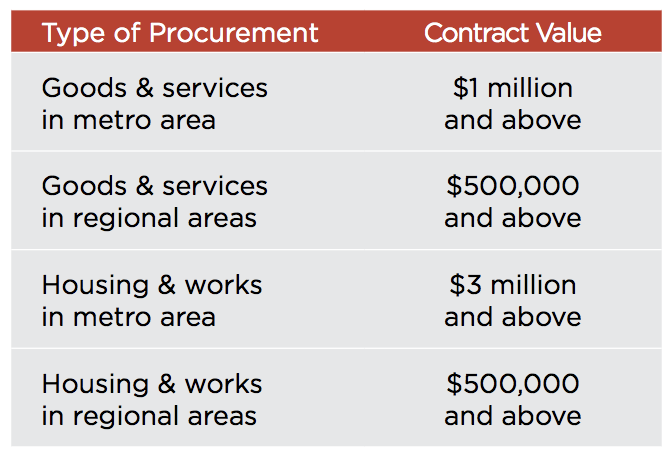 It applies to all forms of procurement (goods, services, housing and works) that are above designated values, including private-public partnerships. The WAIPS does not apply to universities, local government procurement or grants. You can read more about the WA Jobs Act 2017 here and the WA Industry Participation Strategy here. Suppliers can download a guide that explains the policy. Promoting the diversification and growth of the Western Australian economy by targeting supply opportunities for local industry. Providing suppliers of goods or services with increased access to, and raised awareness of, local industry capability. Encouraging local industry to adopt, where appropriate, world’s best practice in workplace innovation and the use of new technologies and materials. Promoting increased apprenticeship, training and job opportunities in Western Australia. Promoting increased opportunities for local industry to develop import replacement capacity by giving local industry, in particular small or medium enterprises, a full, fair and reasonable opportunity to compete against foreign suppliers of goods or services. Victoria, South Australia and Queensland have similar local content policies or legislation in place. The Victorian Government has had the legislation in place for over a decade and has reported success in increasing the level of local and intrastate procurement. Require each prospective supplier to submit a participation plan as part of their tender bid for all contracts above designated thresholds. Assess and consider the participation plan in the procurement process, in accordance with the WAIPS. Incorporate relevant participation plan commitments in the supply contract, in accordance with the WAIPS. Include reporting requirements in the supply contract, in accordance with the WAIPS. On request, provide information to the Minister for Jobs to assist with reporting to Parliament. A subscription to Australian Tenders will ensure you are notified of these types of procurement opportunities as they are published.